Friends and competitors, Patrick Abalos (left) and Justin Ware (right), work together to prepare for the USBG World Class Competition. Photo by Jamie Alvear. Article has been updated to reflect the competition results. 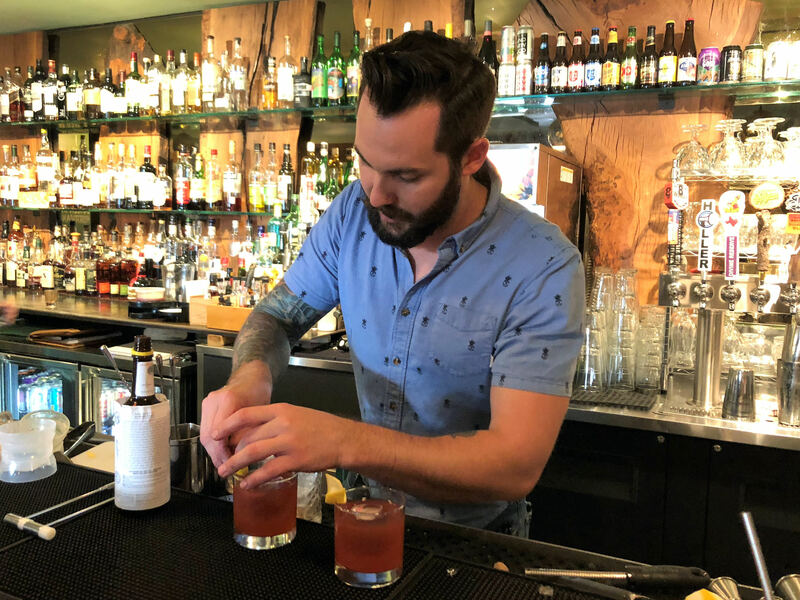 Texas is well-represented in this year’s USBG (United States Bartender’s Guild) World Class Competition with seven bartenders competing for a chance to advance to Nationals. 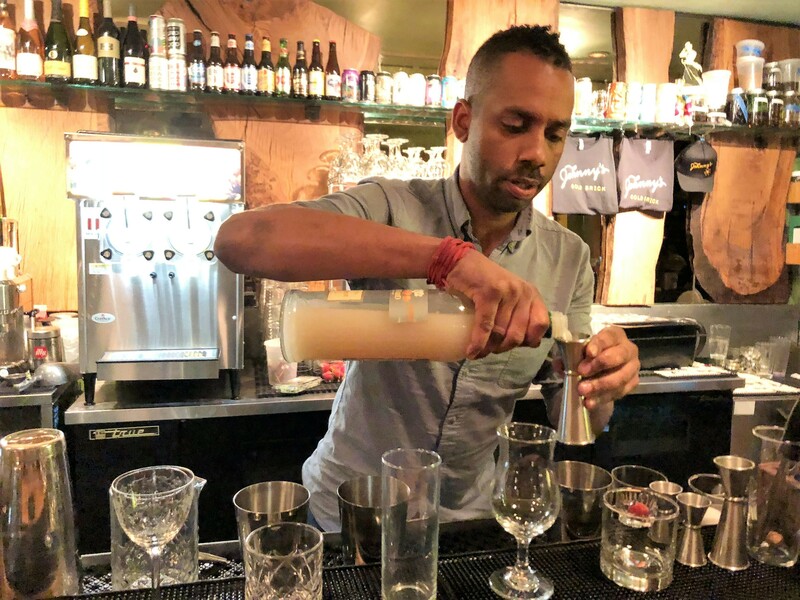 Among the 12 Southwest Region finalists, three work in Houston: Justin Ware of Johnny’s Gold Brick, Patrick Abalos of Eighty Six’d Hospitality Group (which owns The Fish in Midtown, Bovine & Barley and South Bank Seafood Bar) and Ryan Perry of Presidio. Sponsored by Diageo—the parent company that owns branded spirits like Ketel One, Tanqueray, Don Julio and more—the annual competition brings together the best bartenders around the world to determine who will win the coveted title of World Class Bartender of the Year. Regional finalists were notified in March and given two weeks to submit original recipes for two of the three challenges that will take place live on April 16 in Las Vegas. A maximum of 150 points can be earned in each challenge. 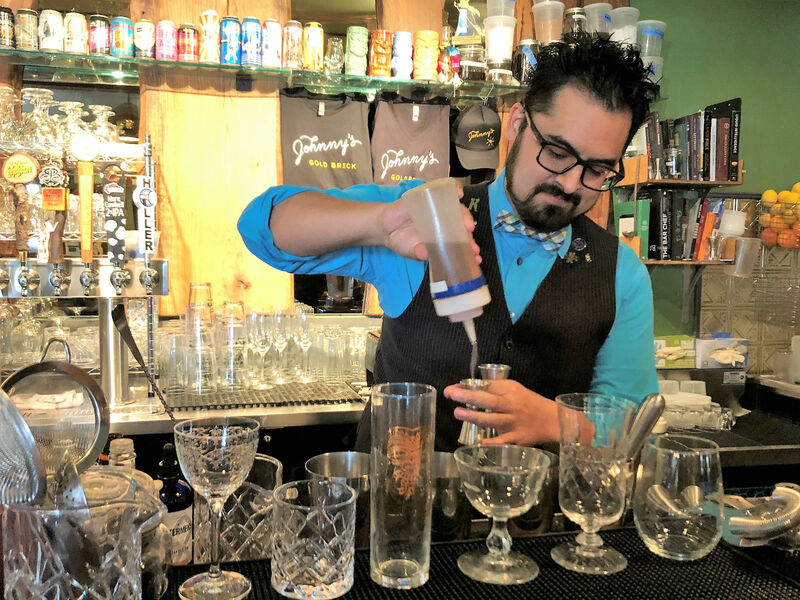 The three highest-scoring bartenders will advance to the national-level competition this June in Louisville, Kentucky. The first challenge, called “Modern Frontier” is inspired by a legend that’s disputed by some. Here’s the story: Augustus Bulleit mysteriously disappeared in the 1800’s while transporting his whiskey from Kentucky to New Orleans. With that in mind, the challenge calls for bartenders to make two drinks: one drink to welcome Bulleit to New Orleans if he had completed his journey and one drink to serve him if he were to visit Louisville today. Justin Ware puts the finishing touches on his Modern Frontier drinks during a practice session. Photo by Jamie Alvear. In the second challenge, called “Speed Round,” competitors have 10 minutes to create six cocktails while engaging judges in conversation as they would customers at their bars. Five of the cocktail recipes are bartender’s choice, but the sixth is dealer’s choice. Contestants are given a style and descriptor of the sixth drink during their eight-minute prep times and must use the stock supplies on hand to create a drink on the fly. The third challenge tests each bartender’s adaptability and knowledge of culinary trends. Upon entering the competition space, they are presented with a four-course, prix-fixe dinner menu and given just 15 minutes in which to create cocktails to pair with two of the entrees. During the presentation, bartenders must explain why they chose those particular spirits and flavor combinations. Creativity and stage presence are Ware’s strengths. During the speed round, he engages customers with conversation while deftly mixing up his six cocktails. Ware’s concept for the speed round involves taking the notion of what is normally in a certain cocktail and flipping it around. For example, a Tiki drink might be made with Scotch instead of the traditional rum. Patrick Abalos works diligently to complete six cocktails during the 10 minute speed round. Photo by Jamie Alvear. For his second year in the competition, Abalos plans to step up his game. “I want to go into more depth with my cocktails,” explains Abalos. “My drinks last year were too simplistic. This time I am focusing more on flavor and incorporating the farm-to-table movement into my recipes.” His commitment to the movement is evident in his Modern Frontier drink, The Forager, which contains marshmallow root, sumac and cattail pollen. Presidio bartender, Ryan Perry, concentrates on completing his first challenge. Photo by Jamie Alvear. Congratulations to Justin Ware and Ryan Perry for advancing to the USBG National Finals. 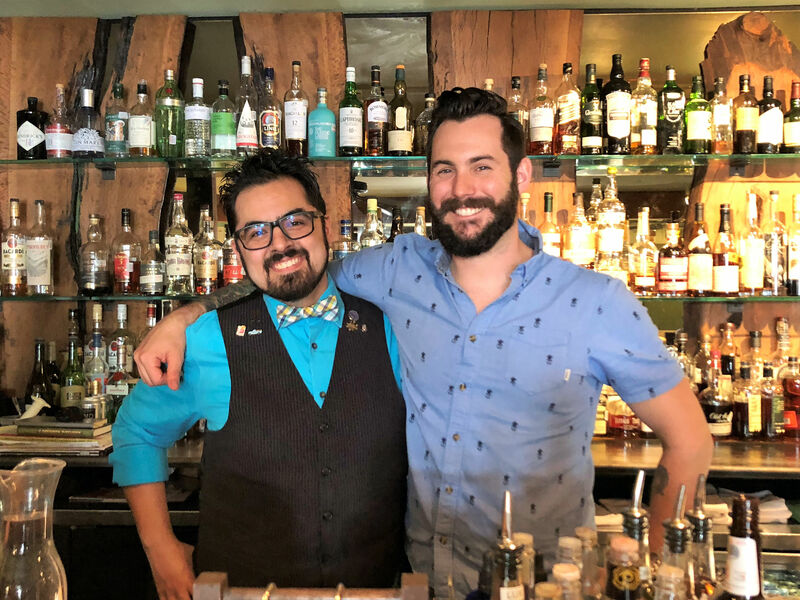 Ware and Perry will be among 15 finalists competing June 5-6 in Louisville, KY. During the two-day competition, bartenders will participate in five challenges designed to test their skill, knowledge and creativity. One winner will be selected to represent the U.S. in the Global Finals to be held this October in Berlin, Germany. Best wishes to Ware and Perry as they continue on their journey to Berlin.